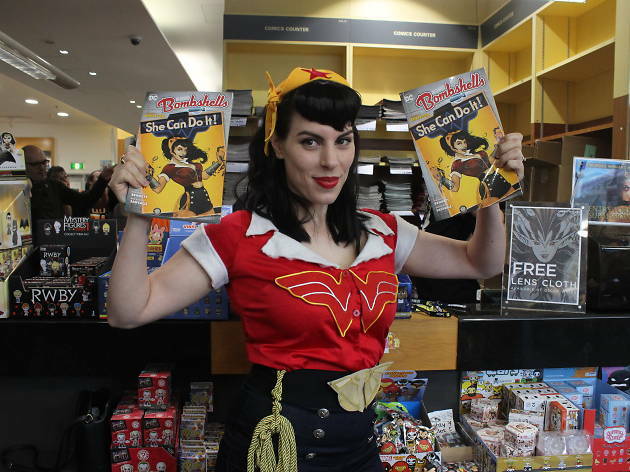 Sydney will celebrate Free Comic Book Day with giveaways, cosplay and comic book madness at Kinokuniya. 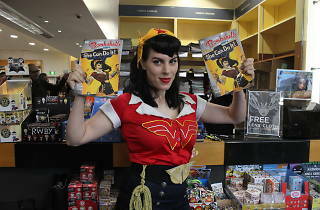 Established in the United States in 2002, this international day of pop-culture sees massive giveaways at participating bookstores in honour of all your favourite comic characters, artists and authors. At Kinokuniya, there’ll be 13,000 comic books up for grabs. To call dibs, register for a comic book show bag before April 26 – otherwise you’ll be getting in line from midday to score your bounty. If you’ve registered for the free comic book show bag, you’ll be guaranteed to take home a copy of The Avengers: Earth’s Mightiest Heroes, Witch Hat Atelier, plus two other free comics of your choice. You can get your prizes signed or commission a sketch by comic book artists at the Artists Alley from 11am-4pm. A few of the creatives on the bill include Queenie Chan, who’s worked across graphic novels like the Odd Thomas series and her own mystery-horror series, The Dreaming, as well as old hand illustrator, designer, art director and animator Glenn Ford and illustrator Marcelo Baez, who’s worked across companies like Marvel, Apple and National Geographic. Want to show off your architectural skills? Enter the Nanoblock test and speed-build characters in competitions from 10am. Kinokuniya will also run their cosplay competition from 10am, and Star Wars fans can test their skills in a galactic trivia comp after the day of comic fun – May the fourth be with you from 5pm.